Devon and Cornwall’s police and crime commissioner has launched a new strategy, with a particular focus on vulnerable road users, in an effort to create the ‘safest roads in the UK’. The strategy was published by Alison Hernandez, police and crime commissioner for Devon and Cornwall, on 19 November to mark the start of UK Road Safety Week. Alison Hernandez, who also leads on road safety for the Association of Police and Crime Commissioners, is a speaker at the 2018 National Road Safety Conference in Brighton next week. Her new strategy recommends adopting a ‘safe systems’ approach, combined with greater enforcement of the law and improved driver training. 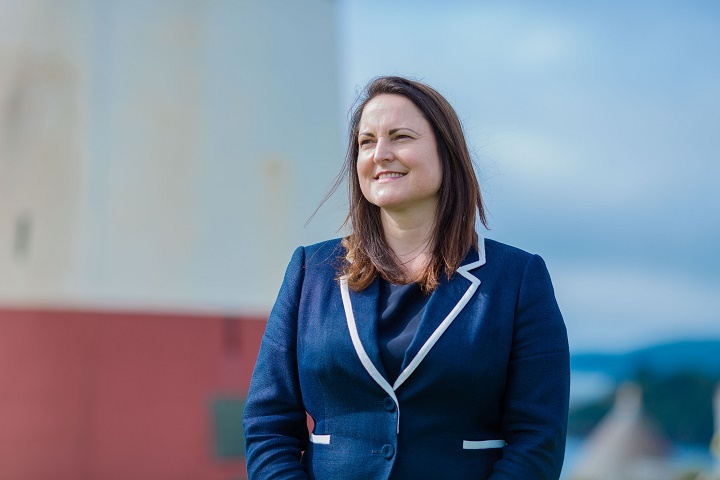 Alison Hernandez said: “Devon, Cornwall and the Isles of Scilly are wonderful places to live and work but our safety casualty statistics make for grim reading. “We’ve doubled the number of police officers in the roads team and I’m really encouraged by the results. Ms Hernandez added: “For every death on our roads a family is torn apart and lives are ruined, yet tragically so many of them occur because of a simple error that might easily have been avoided, people driving while tired, sending a text or going just a few miles an hour too fast. The focus on vulnerable road users has been welcomed by Ben Bradshaw, MP for Exeter, and a local cycling campaign group. Mr Bradshaw said: “As a keen cyclist I am pleased to see that vulnerable road users are placed front and centre of the police and crime commissioner’s road safety strategy. “On my daily rides around Devon I regularly witness poor driver behaviour, as well as plenty of safe and considerate driving. “The price being paid for this in people’s lives is far too high and this document makes it clear that this is an issue that no one agency can solve alone. Mike Walton, from the Exeter Cycling Campaign, said: “The campaign welcomes the fact that Devon and Cornwall Police is beginning to take the safety of vulnerable road users more seriously with this strategy. As per our conversations, Hugh, it’s a question of being crash vulnerable, or not as the case may be. I suppose for many being surrounded by masses of steel, having airbags all round, and all sorts of gizmos to get them out of the trouble they should not have been in in the first place, has many drivers feeling they are secure and invulnerable when actually those very factors tend to work in reverse. I always thought a ‘vulnerable road user’ was the slower-moving, unprotected i.e. pedestrians, cyclists, horse riders etc. and not anyone in a motorised vehicle surrounded by steel and with air bags etc. Thanks, Pat. What it really meant, of course, was that in reality, most drivers are vulnerable (as indicated for one example) and like the next crash waiting to happen. So this is where the attention really needs to be focused. At the same time that does not remove the need to focus on those road users who are more highly vulnerable. The existing approach seems to assume that only the highly vulnerable are actually vulnerable and that all others are not per se. vulnerable road users: Any road safety strategy (RSS) worth its salt will define this group or groups. (Assuming you have a RSS of course). It is a pre-defined group not an adjective. Exercise: Define ‘vulnerable’. In my book most drivers are like the next crash waiting to happen (lack of safe following distance means crash vulnerable); many are one second or less away from the one in front. so where does it go from there? …with the obvious caveat Rod – the limits still need to be complied with (by the motoring public) or it can’t be a ‘safe system’! Its good to hear a PCC talking about adopting the safe systems approach. But this needs to be holistic across all of those involved in road safety. That includes all emergency services, traffic authority and, as Hugh says, the public. Best practice in safe systems is to set a 30kmh (20mph) limit where motor vehicles wish to mix with pedestrians and cyclists. (WHO, OECD, iRAP, ETSC). Its good to also see that Devon County Council is finally getting around to updating its policy for setting local speed limits. This currently dates from 2009 and references the 2006 DfT guidance which was cancelled in 2013 when it was replaced by Circular 01/2013. This had a “priority for action” to introduce more 20mph limits or zones using the 2013 guidance. Devon and Cornwall communities would have safer road systems if 20mph limits were set where pedestrians and cyclists inevitably mix with motor vehicles and this was enforced by the police. 20’s Plenty looks forward to these new initiatives working together in Devon. I still don’t see how a ‘safe system’ applies to roads when the ‘system’ relies on the co-operation of millions upon millions of individuals to voluntarily ‘get it right’ all the time. Only they can make it a ‘safe system’ – the authorities can only do so much.